Since the launch of the very first iPhone in 2007, mobile phone technology seems to be making leaps and bounds with each new generation. From the introduction of the gyroscope in the iPhone 4 to the innovation utilising Near Field Communication technology for mobile payments, smartphones are becoming more and more intelligent. With these surges in technology, it didn’t take long for augmented reality to appear – and it appeared in a big, big way with the release of Pokémon Go last year. Almost as soon as it was launched, it seemed everyone with a smartphone was instantly obsessed with catching these virtual creatures, even so far as taking over local sites in the real world. While the Pokémon Go trend appears to have died down a lot since its initial launch, it was a great proof of concept for the market. Unlike complete virtual reality, which requires headwear and expensive equipment, augmented reality can be used by anyone with a smartphone and consumers are more than keen to get involved. This kind of accessibility and enthusiasm makes augmented reality extremely appealing for investors. 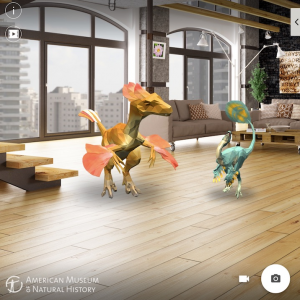 Enter Google Tango; the next step in the evolution of augmented reality, or “AR” for short. Developed and authored by Google, the platform allows smart devices to do complex 3D mapping of the surrounding environment without using GPS or other external signals – now that’s pretty cool! Pointing a Google Tango Device at a table on the stage, the device was able to measure and display the dimensions of the table in real time. In this demonstration, the distance between the floor and the ceiling was also measured in a matter of seconds. The ability for this technology to accurately map and measure 3D space also has some promising applications as an aid for the visually impaired. Throw away the ladders and measuring tapes – you can now measure anything around you in a matter of seconds using only your phone! 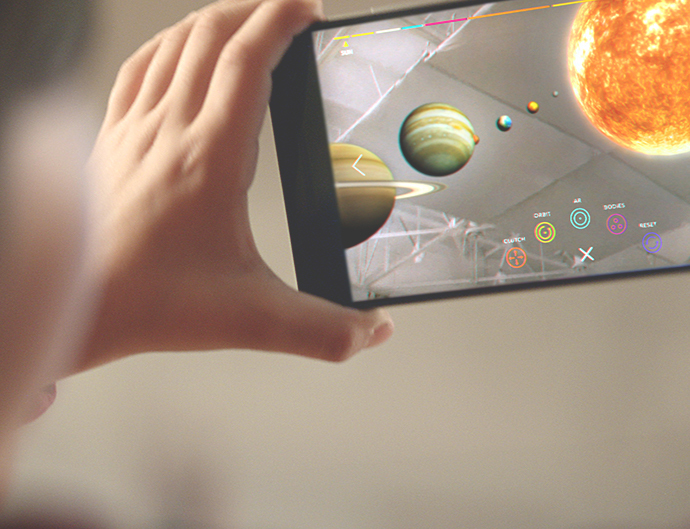 Google Tango can easily place virtual recreations of real-world objects in real space. Imagine being able to see exactly how that new couch would look in your lounge room before spending a single dollar, or seeing how your house would look with wood flooring instead of carpet. There are a lot of really useful applications for the budding interior designers out there – try before you buy. Virtually! In another demonstration, a 1:5 scale fully animated Tyrannosaurs Rex was placed on the stage, complete with sound effects. There were also interactive flash cards that provided information about the dinosaur. From there the T-Rex was scaled up in real time to 100% and you really got a feel for the sheer size of the creature in the real world. I’m imagining some great virtual museum exhibit applications here! The presenters generated a peaceful forest complete with flowers, trees and creatures on the stage, in real time, using the stage’s actual geometry. 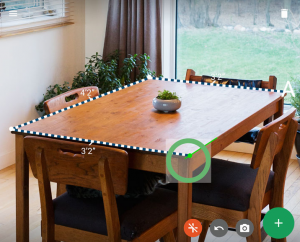 In another example, the developers attached a Google Tango device to an empty NERF gun and shot virtual projectiles at a real world surface, which the virtual projectiles bounced off. 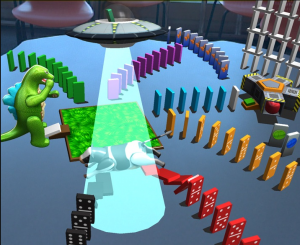 AR may end up succeeding in gaming where full VR has so far failed to take off – these games require no special equipment and promise to be just as engaging. Overall, Google Tango looks to be a very promising project, and it’s already available on a couple of specialised handsets with many more to follow as it becomes mainstream. 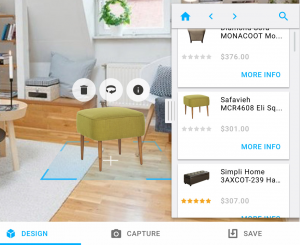 More importantly, augmented reality promises to extend the abilities of your smart devices and provide a series of very useful applications for both the technically minded, and average consumer. It will be interesting to watch Google Tango (and AR in general) develop further over the coming years. Jayden Langmead is part of the design team at iiNet. He is passionate about all things tech and eagerly awaits the arrival of an internet-connected refrigerator that does all its own shopping. I have an account with iinet that doesn’t include internet on my phone. Most of my friends have the internet with them when they leave the house and I find that would be very helpful to me. I thought it might be something that I couldn’t afford yet my friends are paying less than I thought. I would like to explore this option further. Why not have a chat to our Sales team on 13 19 17? We do have excellent SIM-only, no contract plans with great data limits. iiNet’s $19.95 plan is a ripper. I only once exceeded my data limit, when our copper phone line went out for nearly one month. A mobile phone is essential with NBN in the house, in case the power goes out. BTW I’m happy with our NBN service. Sure, speed does drop when there’s congestion, but it is still quite usable, AND even then, it is faster than the previous ADSL2, not to mention cheaper. We’re 800 metres from our node. There is one closer, but it serves different streets. Oh, and the fibre feed is about 250 metres away, before it turns a corner, away from us.